Allows couples to communicate with each other their expectations without the added emotion that can quickly escalate into conflict. Are you tired of hearing your significant other constantly nag at you? Tired of them yelling at you for no reason? 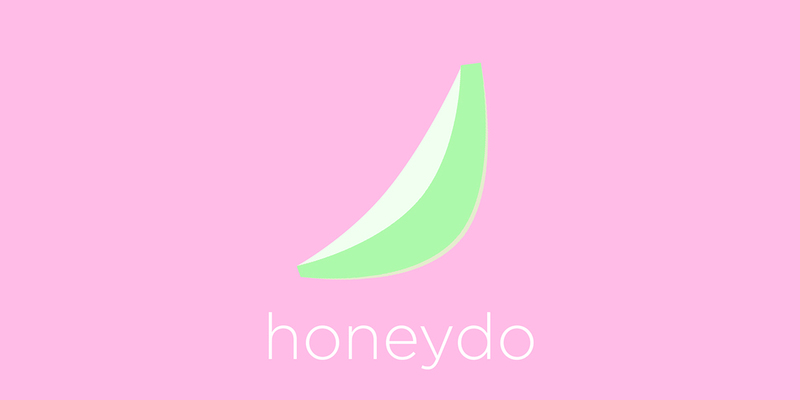 WELL honeydo is here to solve all your problems. In an app confined environment, you can communicate to your significant other without all that added heat. This app will work as a to do list between couples. Person A will update their to do list for Person B and that Person B’s list will update and vice versa. Your hearts/to do markers will change to a nice pink once you finished your to do. You can customize your bae’s name to be anything you want! You can even name them “my nagging hoe”, “biggest disappointment”, “don’t buy me flowers no mo”, “life sucker”, etc if that is what your heart desires. The main purpose of this app is as mentioned to help couples better communicate what they want from the other sans conflict. This is done mainly because the app will have NO CAPS. I REPEAT…NO CAPITALS. We are a generation that is heavily based on cues through texts. Too often have I misinterpreted a text from a man friend that I thought was flirtatious BUT REALLY THEY WERE ACTUALLY JUST SAYING “heyyyyy” (VERY MISLEADING WITH ALL THOSE Ls – more Ls for more LOVEEE that’s what I like to tell myself). Additionally, often when we give suggestions on things to do (NOT ORDERS) to our significant other, they will just think we are nagging. For example, when yo man don’t put the seat down after he pees. The first time this happens you may say, “baby could you pleaseeee put the seat down afterwards.” This tone of voice may be met with genuine want from your partner to put the seat down. HOWEVER, after the 129038102983th time of you falling into the darkness of a toilet bowl in the night, you may just say, “I TOLD YOU FOR THE 129038102983th TIME TO PUT THE SEAT DOWN CAN’T YOU DO ANYTHING RIGHT?? ?” This app will remove all of those emotions and keep things simple with NO CAPS. I REPEAT…NO CAPITALS. We will have targeted ads on romance columns and blogs. Picture this, a buzzfeed article entitled “12 ways to make your relationship better” and BAM right next to it an ad leading to our app’s website. Additionally, we will have sponsored ads on instagram that will target those individuals that love postings pics of them and their significant other but ALSO enjoys deleting all those pics when they’re in a disagreement. Those people really need the help of this app. Finally, sponsored tweets on twitter targeted to those individuals that use this social network to unload and complain about their partner. Just imagine the corny video advertisements that could be produced. Here’s some background to the scene I envision: the boyfriend always forgets to put the lid on the peanut butter jar after he’s done having breakfast. The scene starts with the girlfriend waking up, looking refreshed and well slept. She wanders downstairs to the fridge, pours herself milk and then notices the lid just sitting on the table. Her immediate reaction is to yell, “BABY CAN YOU PUT THE LID BACK ON AFTER YOU’RE DONE WITH THE PEANUT BUTTER, I DON’T ASK MUCH OF YOU.” Boyfriend runs down, conflict ensues, they start arguing about anything and everything. The scene cuts, the text “Is this what you want?” displays followed with a “Wouldn’t you much rather this..“. The scene rewinds back to the beginning where she finds the lid and instead of yelling, she opens up honeydo writes a reminder to her boyfriend. He gets notified, smiles to himself, with a face that says “oh yah! I do forget to do that a lot” runs downstairs and puts the lid on the peanut butter jar. This will be an inclusive app and accepts any type of romantic relationship. You can even create extra profiles if you’re in a polyamorous relationship! Do not fret! Thanks for reading and don’t forget your honey CAN do it if they just have honeydo. After sharing this post apparently this idea already exists already.